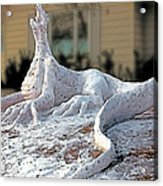 There are no comments for Snow Dragon. Click here to post the first comment. 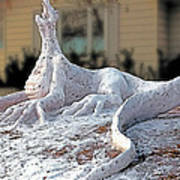 For fun, I like to make huge dragons out of snow. 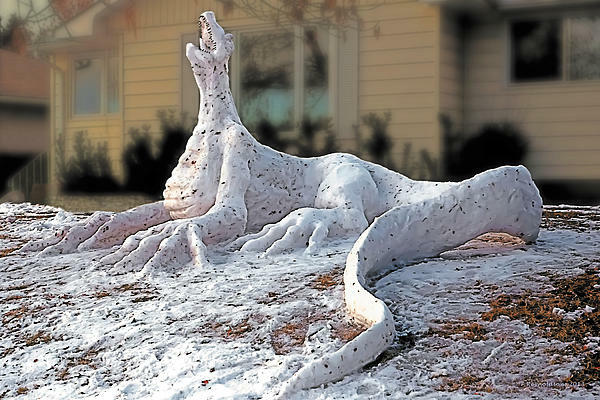 I spent an entire day one winter to build the one pictured here (I named him Gary). He was about seven feet high from the ground to the tip of his nose and about twenty feet long from his nose to the tip of his tail. I inserted broken twigs into his mouth to simulate razor-sharp teeth. I had to steal snow from my neighbor's yard because I used all of the snow in my own yard. This is Gary before I made wings for him.